Throughout Mexico tonight, the dinner table will, for many, include tamales and hot chocolate, while in many parts of Europe, crepes will be on the menu. And at sunset, we’ll light every lamp in the house. It’s Candlemas. We are emerging from the darkness of Yuletide as the seasonal round of the year shifts from winter toward spring. Candlemas is the day of blessing of candles in the Church, forty days past Christmas, with great processions of candles lit and born aloft, a light for the world. It is known as well as Purification Day, which comes out of an old Jewish tradition: forty days after the birth of a son, mothers would go to the temple to be purified. You might think of it as renewal, fitting for this time of year, the approach to spring. 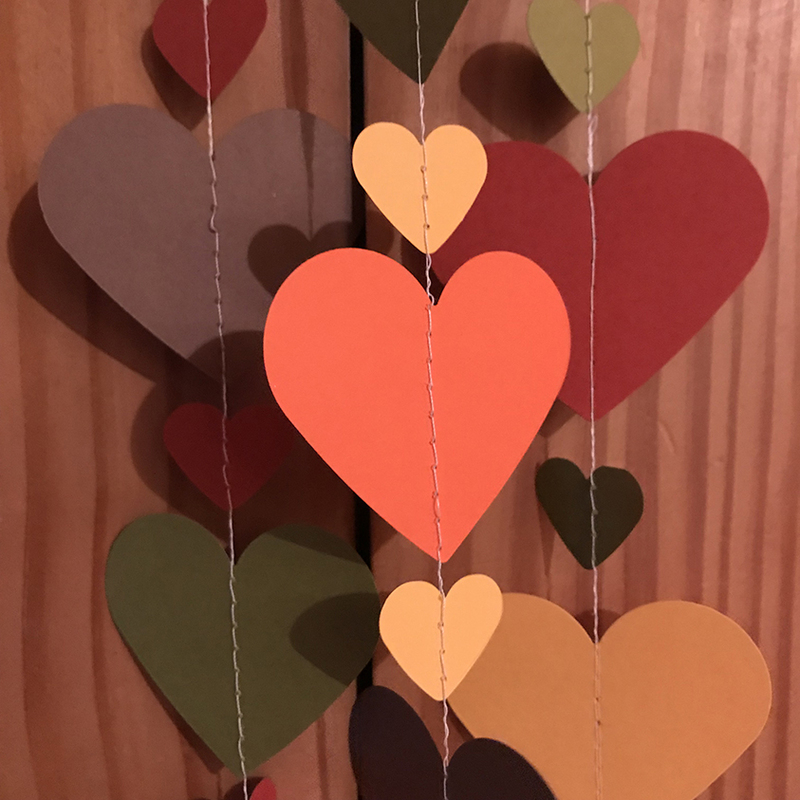 Not without coincidence, it was just yesterday, as Imbolc began, that the earth goddess was renewed as well, as our planet is now halfway on its yearly journey between the solstice of midwinter and the equinox of spring. And so the story goes that Mary went to the temple to be purified, carrying her newborn son, and it was there that she met the elders Anna and Simeon. Simeon recognized the child immediately as the light of the world, and this is the basis for the blessing of candles on this day, and the day’s lovely name. 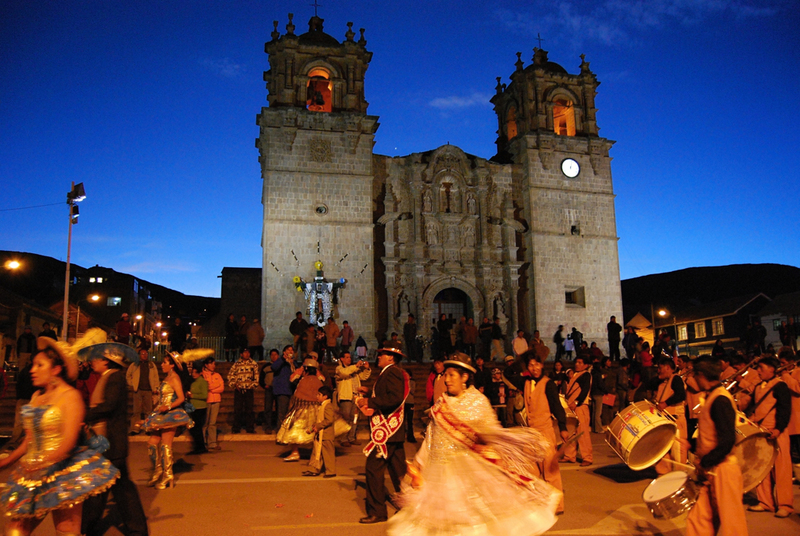 One of the most beautiful and elaborate Candlemas celebrations is in the city of Puno in Peru. The photo above is of the Candlemas celebration there two years ago. The celebration in Puno and many other places in Peru, Bolivia, and other parts of South America will continue on for the better part of two weeks. Tomorrow, the 3rd of February, brings St. Blaise’s Day. St. Blaise protects against maladies of the throat. On his feast day, priests will bless each member of their congregation by invoking a prayer to St. Blaise while holding two unlit candles in one hand about the neck of each person receiving the blessing… surely related to Candlemas, too. 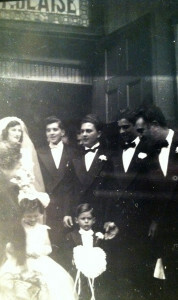 My mom and dad got married at St. Blaise Church in Brooklyn in 1949. It was my grandparents’ neighborhood parish, a small church. And so we have some fondness for St. Blaise. Ah, but that is tomorrow. Today, though, when we awake, we’ll see what that old groundhog says about winter this year. We shall see what we shall see, and it will be what it will be. The weather is beyond our control. But we can, at sunset, run about the house and light every lamp, for a few minutes at least, and illuminate our world. Image: Candlemas at Puno, Peru by Pavel Špindler, 2016 [Creative Commons], via Wikimedia Commons. Yesterday was Candlemas and today it is the Feast of St. Blaise. The traditions for St. Blaise’s Day, it would seem, come directly out of having all those candles about the day before: For ailments of the throat, we pray to St. Blaise… and on his feast day, the Third of February, it is not uncommon to go to church to have the priest bless your throat by holding two candles, crossed into an X shape, with your throat in the crook of the candles, as he says a blessing over your head. It’s one of those mystical ceremonies that seems almost over the top even to us Catholics. St. Blaise became the patron saint of folks with throat maladies by association: He is famed for having healed a young boy who had a fishbone stuck in his throat. St. Blaise was a fourth century bishop in Armenia, but he had to go into hiding in a cave for his faith. It was there that wild animals would gather with him and join him in food and conversation… and so St. Blaise is also associated with animals and their protection. He is fondly remembered in my family, for St. Blaise was the name of the church my grandparents attended, up the hill from their home in Brooklyn. My Aunt Anne and Uncle Joe were married there, and so were my own parents. Folks with high aspirations went to the big cathedral up the road, but the simpler folks went to St. Blaise. It was a small church that served a small community made up mostly of Italian immigrants and their families. In England and Scotland, it was once customary to light bonfires on the eve of St. Blaise, which would be the night of Candlemas, and perhaps there is some connection to be made between Blaise and blaze. It is a day also important to wool carders (a matter having to do with St. Blaise’s martyrdom), as well as to spinners and dyers. Today’s chapter is an improved (I hope) version of the one from St. Blaise’s Day, 2014. Pictured above: My newly married mom and dad, posing for photos with their wedding party, on the front steps of St. Blaise Church in Brooklyn.